The fact that I am writing this blog post 25 minutes to midnight because I said that I would write a weekly journal for my experience with the Master Key System reveals to me that yes I am committed. Perhaps I need to be committed physically because I am that obsessed with manifesting my dreams that any slight edge to gain the edge, I am willing to take a swing at it. Two weeks ago, I went to a Live simulcast of John C. Maxwell’s, Live2Lead event and he relayed the rule of 5. Essentially, if you have a large tree and an ax and every day, if you take 5 hacks at the tree, day in and day out, you will eventually cut down that tree. 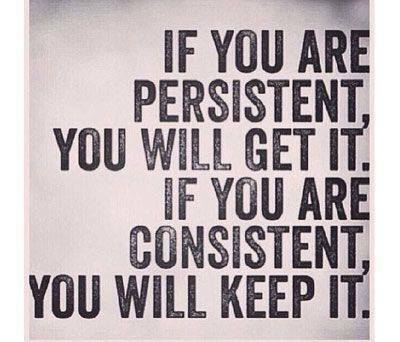 It is a story of consistency, perseverance and being committed. Writing this blog is a metaphor for staying committed. I have many reasons to not write right now. I am tired after hanging out all night after a very productive week. 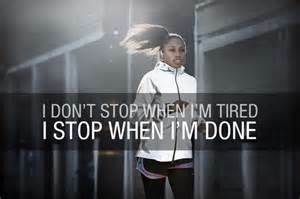 I am sleepy and really need to get to bed in order to be fresh for my 5k race in the AM. I am delirious and can barely keep my eyes open. And so on and so on. Excuse after excuse. 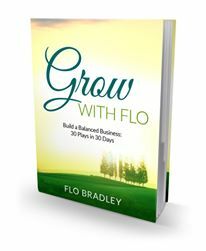 3 years ago, I wrote a small book called Grow with Flo: Build a More Balanced Business, 30 Plays in 30Days. It’s a workbook with 30 daily exercises designed to help create a positive shift in the readers professional and personal aspirations. There is a section on creating relationships with people that inspire you. I recommend reaching out to authors, speakers, television personalities, etc. to share with them how what you are receiving from them has impacted you. It’s interesting because a gentlemen named, Wolfgang Obermaier, from Vienna Austria downloaded my book and reached out to me, as I recommended and while we haven’t connected via a SKYPE session yet, I have an intention of finding out more about him to see if their are any opportunities to collaborate in the future. I am not sure why or how the Universe saw fit that our lives should interceded, but it has and I know that following my curiosity has rarely not bore fruit in either a blessing or a lesson. Day 18: After Reading or Seeing Something that Inspires You, Contact the Creator. People are extremely accessible through social media these days. I have contacted authors, bloggers, musicians, artists, chefs, you name it, several times and the value that you receive from these relationships could definitely help expand your expertise, reach, strategy and overall business. In some cases, the relationships have developed into clients, collaborations, and even friendships. For example: I subscribe to Success Magazine and every month they provide a CD with some incredible people and speakers being interviewed. One of the guests blew me away with his story of how he was inspired to run his first marathon and has since completed 18 of them and 12 Ironman competitions. The death of his father too early from a heart attack was the catalyst and he went from an overweight, stressed-out finance guy to a fitness and health advocate. Our stories are actually quite similar and I reached out to him via Facebook. He instantly wrote back and subscribed to my newsletter and he expressed a desire to one day work together. I am not sure in what capacity yet, but now I am building the relationship virtually and am enjoying receiving his information that can serve my health coaching clients and me personally. Exercise of the Day: If you have done yesterday’s exercise, then you may have an example of something that inspired you from that work. Reach out to the author on Twitter, Facebook or some other platform and tell them how it is impacting you. Your positive feedback will be well received as most people put out work that they hope will advance the reader on some level. Are you ready for this. . .Today, I hosted my first Live Stream Talk Show. . .Fired Up with Flo for his Online Boot Camp Community, a site designed to help members achieve their health and weight-loss goals through Live Workouts from the best certified athletic trainers, healthy cooking shows, radio shows where members can call in for Q and A and with the addition of my contribution. . .inspiration to help members create the success oriented mindset. To learn more click here for the Online Boot Camp Hub information portal. In the book Think in Grow Rich by Napoleon, the first key to wealth is to have a Burning Desire. I wrote in my book 3 years ago that the person that I am now collaborating with had a desire to partner in some way. We didn’t know how but today a show called Fired Up with Flo launched and what I wrote all those years ago manifested. In Charles Hannel’s The Master Key System, the work that Napoleon Hill utilized to create Think in Grow Rich states. . . Thought is energy. Active thought is active energy; concentrated thought is a concentrated energy. Thought concentrated on a definite major purpose becomes power. Infinite energy ever dwelling in man, constantly creating and recreating his body, mind and ready at any moment to manifest through him in any needful manner. In exact proportion to the recognition of this truth will be the manifestation in the outer life of the individual. The method which is producing such extraordinary results that many think that miracles are being accomplished. Your mind is a crystal ball and your thoughts written down through the pen and concentrated through mental repetition of a desire is the wand. You can magically create anything with a belief and desire to ignite the fire. This statement perfectly captures the positive compounding effect happening in my life. The Slight Age, by Jeff Olson, famously illustrates the story of a very wealthy man who gave his two sons a choice of having a million dollars now or a purse with a penny doubled every day. One son, chose the million while the other chose the penny. After the 30 days, the son who chose the million invested unwisely and watched his immediate fortune depreciate; while the penny brother watched his nest egg grow and here is the result after 30 days of patience. The metaphor for me is that consistent hard work and patience in the process of growth creates a snowball effect that once it gets to the the tipping point, it becomes an avalanche of abundance. Recently, I received an incredible opportunity with the potential to reach and inspire millions of people into action. This only happened after of years of creating blog posts, articles, videos, workshops with no expectation other than to serve and spread my message of giving, love and joy. I sacrificed sleep, down time, television, shopping with the ladies and traded it in for attending live and online seminars, studying with mentors, rising by 5 am to listen to personal development, meditate, read daily, work on marketing strategies, create content, write pieces that I never knew if anyone would read, but I had the intention and goal that if I reached and shifted the perspective and mindset of just one person. . .all of it would be worth it. I could have gotten a job and made six figures immediately. I knew my worth and the market would compensate me for it. But the time freedom with my children and family was a sacrifice I wasn’t willing to make. The penny for me is the little things that make the big thing of being a parent worth more than the purest of gold. The field trips, class parties, dance practices, play-date is my wealth. Now, because I made the choice to stay the course and do what I love without sacrificing the little people that I love the most, my fortunate of being able to pour greatness into more and more people is just the cherry on top of a really awesomely delicious piece of the American Pie Dream. You want to taste this. Congratulations to the 2015/2016 class of MKMMAers. You are now embarking on a special journey that will literally blow your mind. Mark J and the rest of the staff were not over promising and under delivering when they shared that this adventure will be the greatest personal re-discovery that you will ever commence. As a past participant that has literally manifested many of the dreams on my DMP. . .Definite Major Purpose, I am so excited to see what transpires for you. Only you know what makes your heart sing and feel alive. That song may be buried deep inside you, muffled by the external and internal noise that your head may not know how to silence. By the end of this journey though, when you trust the process you will start to hear that rhythmic beat that is your life force calling to come rescue you. Then you will experience a freedom that you never thought possible. From my family to yours. . .enjoy the ride. It really is so much more fun! Week 22. . .Are you too Chicken to Soar like the Eagle? I posted this on my 30 t’Life Goal Setting Facebook Group and wanted to share it via this blog because parts of these past few weeks with my Master Key journey remind me of the story of an eagle’s decision to live. Then, the eagle is left with only two options: DIE or go through a painful process of CHANGE…! This process lasts for 150 days (5 months).The process requires the eagle to fly to a mountain top and sit on its nest. There the eagle knocks its beak against a rock until it plucks it out. Then the eagle will wait for the new beak to grow back after which it will pluck out its talons. When its talons grow back, the eagle starts plucking its old aged feathers. And after this the eagle takes its famous flight of rebirth and LIVES for 30 more years !! Why is Change needed??? In order to survive and live. We too have to start the change process. We sometimes need to get rid of the unpleasant old memories, negative habits and our fixed mind set. Only Freed from the past burdens can we take advantage of the present. If an eagle can make a life saving and life changing decision at the age of 40….why can’t we? In order to take on a New Journey ahead, let go of your negative old limiting beliefs. Open up your mind and let yourself fly high like an eagle! When it rains, all birds occupy shelter. 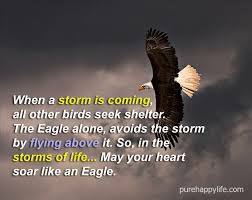 But the EAGLE avoids the rain by flying above the clouds….problem is common to all but the attitude to solve it makes the difference! Nature is a brilliant teacher. Crushing my limiting beliefs so that I am reborn into the purpose driven person that I forget to remember, can’t be more painful than the eagle crushing her beak to regrow a new one so that she can pluck out her feathers and soar above the clouds. If a bird can do it, my soul certainly can. Yes. . .this is another marathon metaphor. How challenging is it to change? Everybody knows that realizing a challenging goal takes extreme focus, consistency, persistence and many times the adoption of a new set of habits. Most will give up before realizing victory. When I qualified for the Boston Marathon this past year, it took 4 attempts. One of the marathons that I ran, I was disqualified for going the wrong way and didn’t realize it until the 18th mile. I finished the race anyway on the off chance that the organization would allow me to simply make it up at the end (I was less than two miles off). They couldn’t make a concession to keep the integrity of the race which I understood but they allowed me to keep a medal and enter next year for free. I ran another event 5 months later without training and finally met my goal Dec 13th, 2014. However, I had to experiment with different approach of training both physically and emotionally to achieve it and it was a terrifying stretch, yet I did it. Essentially, I cleansed my body a week before the race as I had learned from an elite ultra-marathoner that a plant based diet was easily digestible and aides in recovery so that the athlete could train harder. Cleansing avoids digestion altogether, therefore I took that route since I was familiar with cleansing through my health coaching business. In addition, I utilized visualization and medication techniques as headphones were not permitted on the course and I was used to running with them as distraction. I had to rely on the power of intention and my own desire. The result, change is good and I am running Boston, my hometown, next year. Check off the Bucket List. I am reflecting on my marathon trials with the challenge of change because for a moment with this Master Key experience, I was reverting backward. I thought I had it in the bag, but I got off course somehow. I have been missing readings, sits, exercises and am even late with this and a few other entries. There are excuses for WHY of course. 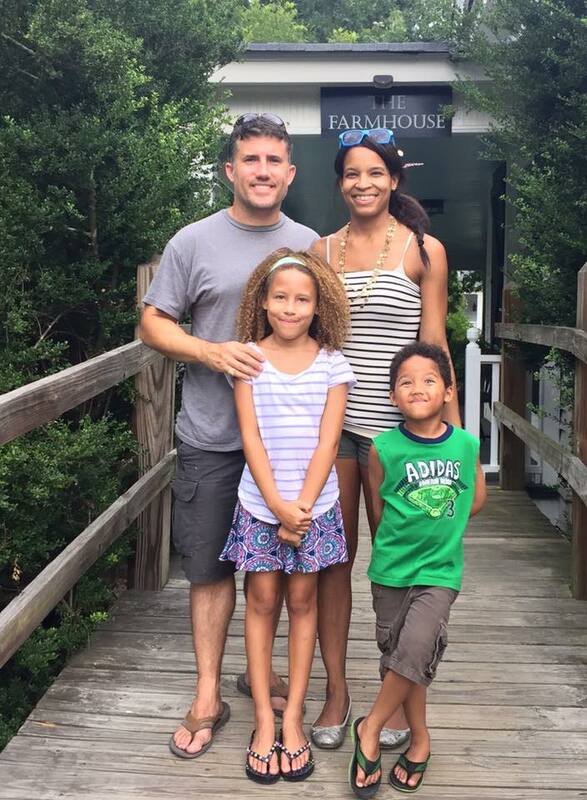 I am traveling all the time, alone a lot raising two kids, working on my school and two businesses and buying and selling a house. Are these excuses valid or are they Beef Stroganoff (BS)? Well, I don’t digest beef well nor excuses. I’ve been on this journey for 5 months and have come to the 18th mile and realized that I’ve taken a wrong turn. Should I call it quits or keep running toward the person that I intend to become? I may be disqualified this time around but I am deciding to run, because perhaps I can still win this race. I will not be denied the greatest marathon of my life because I got tripped up at the 18th mile. Week 20: Most People Have One of These Common Chronic Diseases. . . A Simple Remedy. Analysis Paralysis: Researching, learning, taking class after class, without taking action on the knowledge that you are acquiring. Shiny Object Syndrome: Buying tools, services, short-cuts that waist your time and bankrupt your wallet. Pseudo-Semi-Productive Procrastination: Busy work that gets stuff done but has nothing to do with impacting the bottom line. The truth is everyone has the same 24hours in a day, however only a very small percentage can create financial freedom, write books, launch new products and companies, conduct speaking engagements, coach clients, eat dinner with the family most nights and still take precious self-love time so that they are refreshed and sharp to take on more with finesse and ease. Most people seem to live an existence of moving from one “To Do List” task to another and never seem to get ahead let alone enjoy the process or relax in order to reboot. If you are juggling and dropping the ball more often than being on the ball, pay attention. This could pay you. Ford conducted an evaluation procedure called a Paired Comparison that enabled his company to focus on the two top priories with ease. It is very simple and can apply to any industry but since I have a network marketing business, I am going to use this as an example. Step 4: Do the A and B activities first and work on them 80% of the time. For example, if you are working your network marketing business 10 hours per week, 8 of those hours should go to recruiting and following up in this example. In addition, they should be the tasks that you work on first. The other 2 hours should be dedicated to prospecting, promoting events, social media and anything else from your top 10 list. You can do the same thing for any industry or goal. For example, if you desire to be a blogger, you want to start writing verses researching how to blog, keyword searches, SEO, analyzing pictures for the blog. If you never write, then all of the other stuff does not matter. Why a Paired Comparison is effective is that it focuses our energy on what is important to get us to our primary goal and cure the ultimate ailment. . .overwhelm. Have you ever conducted a Paired Comparison? Share what you are doing to stay on point and focused. 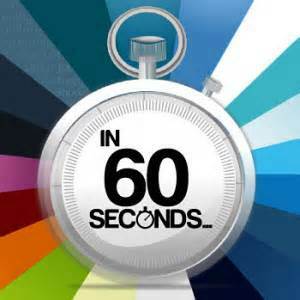 Week 19. . . Got A Minute? This week, inspired by my Mastery Key journey, I decided to share pieces of what I have been receiving and launched a daily video series called: 60SecondstoSuccss. In these videos I provide a daily quick tip designed to progress my community forward along their success journey and I am incorporating the lessons from the MKMMA experience. Got a minute or more? Check out a one or two of the additions from the week. Week 18: When you read this post. . .You’ll Be Rich! People flounder around in the Land of WHEN. When I have my masters, I’ll be able to get the promotion. When I get the promotion, I’ll make more money. When I make more, I’ll be able to find a life partner. When I find a life partner, I’ll have children. When I have children, I’ll be happy. Delaying ones happiness, waiting on WHEN, is the reason why that blissful state of being alludes many people or is fleeting at best, because is tied to a circumstance. I recently came across Harvard’s Happiness guy, Shawn Achor’s TED Talk about the subject and how happiness is not an effect of what we create, but a cause. If you think about it in terms of a relationship, you probably were not a pissed off jerk when your future love became attracted to you. 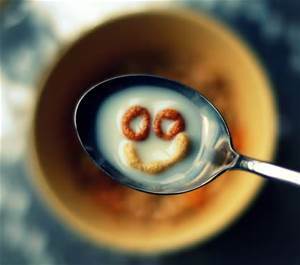 You may have been smiling, laughing, joking, tender, giving or kind. When I think back to my first interaction with my now husband, he was introducing someone to a group and what I noticed first was his genuine smile, his green eyes that were brilliant with light and sparkled liked the Emerald Coast, and the care that he gave to uplift the person that he was speaking about. As a result of first recognizing the happiness that exuded from him, we started dating and fell in love. Finding love was not tied to graduating from Boston University, where I met my husband sophomore year, or any other arbitrary circumstance. It had everything to do with the people that we were being and despite circumstances of him being really poor, working at times 3 jobs and hustling to get through school, he didn’t wait on a diploma and an amazing career to fall in love with me. So what is the remedy of learning to live happy now? Perform these 5 simple activities for 21 days in a row, which creates a habit and you will escape the Land of WHEN and Live in the Beauty of NOW. Through my Master Key experience, I have actually incorporated these 5 gifts into my daily life for months now and the rewards are better than any THING you can imagine. I am writing this blog piece. . .just to get it done. That is the sad truth of where I am at right now with this journey. What is interesting is that in my business, things are starting to happen, but I haven’t figured out how to keep consistent with all of the increasing exercises while also balancing the amazing results as a result of the exercises. I am not doing my best, because I am quite frankly, exhausted by the end of the day. When I attempt to read, I can’t see the words. I’ve tried listening to the audio version online, but fall asleep. I have been traveling a lot more (Palm Springs two weeks ago, Atlanta this past week, Charleston at the end of the week and Miami at the end of the month) which I know is one of the reasons why it has been hard for me to keep up. In addition, my daughter, who is 8, had a big Science Fair Project as well as adding cheerleading to her activity schedule. For the past week, my husband was on a military exercise and could help not help. On top of it all, we are also moving and I am purging the house for staging for sale. All of these are external issues, I realize, and I am staying consistent with the my meditation sit which has been great for insight because I really do feel as if I am drowning at times. 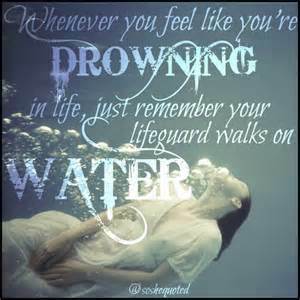 I am faithful that what is happening is only a temporary set-back and know that I navigate this current eventually.